Because of their rarity, yellow jacket beads are some of the most highly sought after beads by bead collectors the world over. 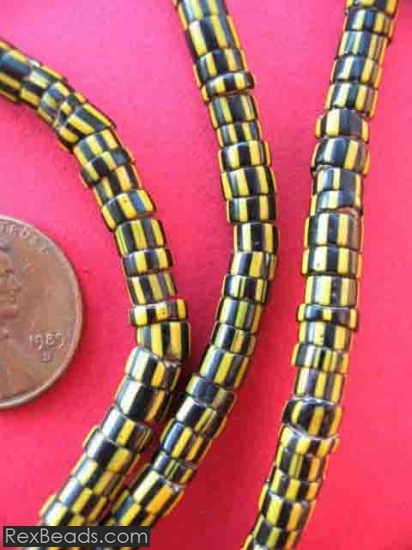 Yellow jacket beads are distinctly characterized by the precision and detail that goes into making these exquisite layered glass trade beads by hand. 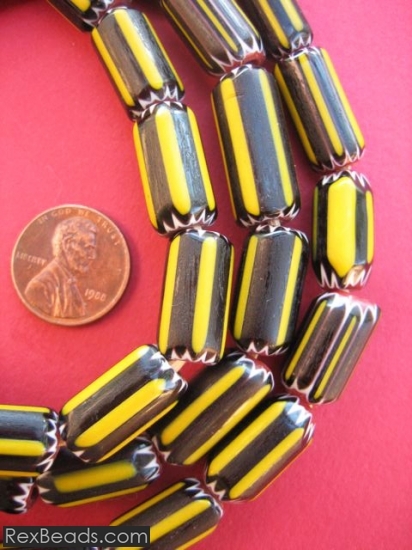 Yellow jacket beads receive their name from their coat which features black beads with yellow stripes – which pretty much resembles the appearance of the yellow jacket bees. 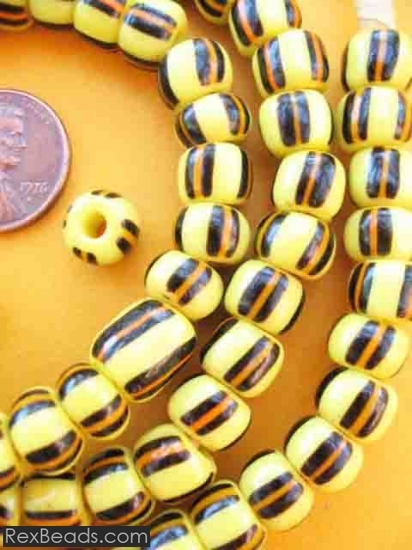 Yellow jacket beads are another type of African trade beads which were used as currency for trade during the pre-19th century period, mainly in West African countries such as Ghana.